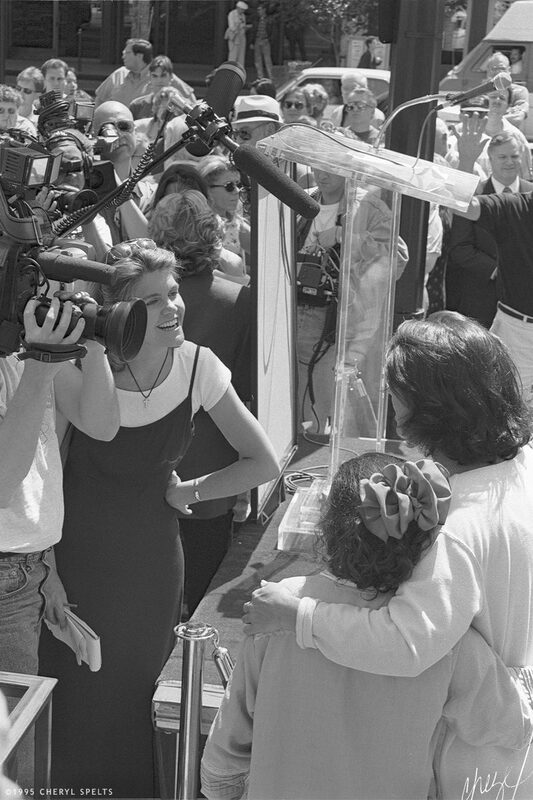 Tyne Daly is interviewed after her Star Unveiling on the Hollywood Walk of Fame, on March 29, 1995. I love this reporter’s dress! It’s like one of the cast members of Friends or 90210 came out to Hollywood Boulevard and started to interview Tyne Daly!